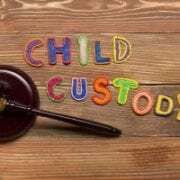 In many family court cases involving children, the Uniform Support Order dictates the amount one party should pay to other in child support. 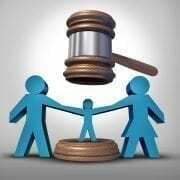 The question frequently comes up about how the Court determines the amount that one party should pay in child support. After determining the total amount of income by each party (and any subsequent deductions) through the parties’ sworn Financial Affidavits, the Court does this by using what’s called the Child Support Guidelines Calculation Table and the Child Support Guidelines Worksheet. 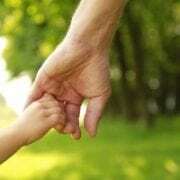 Essentially, the Calculation Table is a list that dictates the total amount that should be paid in child support depending on the total amount of income by the parties and the number of children they have. Based on this information, the table dictates a number that determines the basis for figuring out child support. For example, if both parties make $4,000.00 per month ($8,000.00 total), the Table dictates that the support for one child for both parents should be $1,317.18 per month. After getting the number from the Table, the Guidelines Worksheet then figures out what the appropriate amount the paying parent (called the Obligor in legal terms) will be required to pay in support. In our case, assuming no other factors, as the parties are 50/50 in terms of income, the Obligor would be required to pay 50% of the number given by the Table, or in this case $659 per month (support is rounded to whole numbers). If the Obligor instead made $6,000.00 and the Obligee (the person receiving the money) made $2,000.00, then the Obligor’s monthly payment would increase to $988 per month. As you can see from these numbers, the support amount changes based on both individual incomes and each parties’ percentage of the total income. Unless the parties agree differently, in cases with no extenuating circumstances, the Court will generally use the number produced by the Table as the ordered amount in support by the Obligor on the Final Uniform Support Order. However, NH RSA 458-C allows parties to request a deviation (both upwards and downwards) based on several “special circumstances.” These “special circumstances” could be such things as ongoing extraordinary medical, dental, or educational expenses, significantly high or low income of the parties, the economic consequences of the presence of stepparents, step-children or other family members, and even the parenting schedule of the parties. 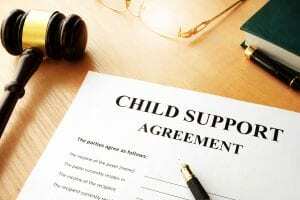 There are many reasons that the Court may order a deviation from the Child Support Guidelines Worksheet, so it’s important to make sure you speak with an attorney before making a final agreement or going to a final Hearing on Child Support. 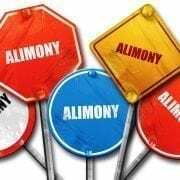 Are You Entitled To Alimony (Spousal Support)?